I’ve really enjoyed Gavrilova’s rise to relevance this year. She was an absolute treat to watch live. Right from the first game, Gavrilova hit a poor shot and you could hear her visibly pissed and saying “oh god”. Erakovic made the brighter start, going up a double break. 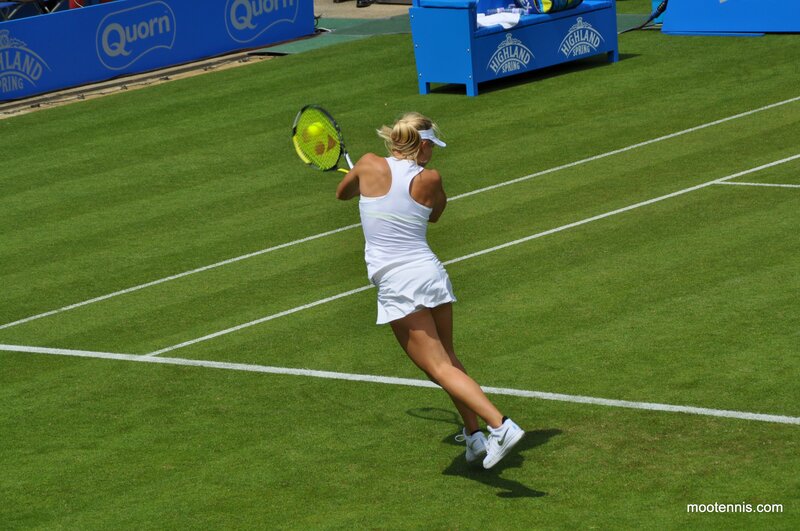 Gavrilova struggled to deal with her slice and was making too many errors. Gavrilova’s coach, Nicole Pratt was sat near us and was shouting out “Dash” on many points and told her “to lift her head up”. After she went down a few breaks, she shouted out “start grunting”! Gavrilova listened and started grunting! 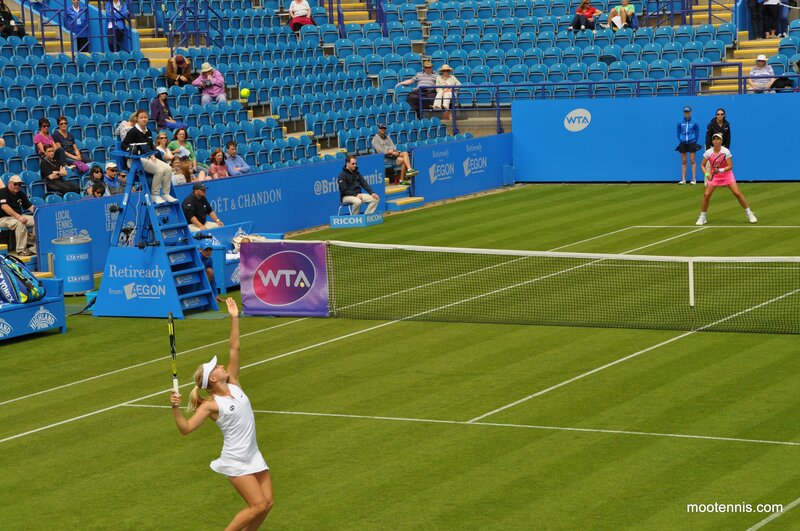 Nicole soon left her seat in the South Stand and went down to the court where she came on for a coaching changeover. Gavrilova did well to come back and recover both breaks of serves. 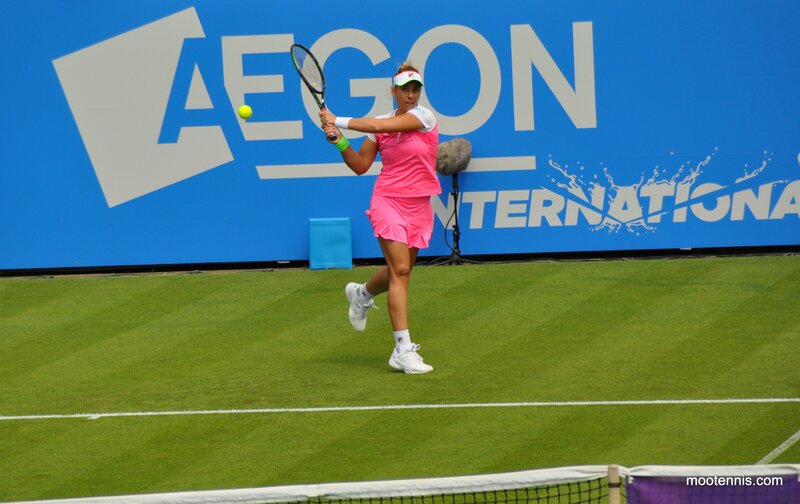 However, into the tiebreak and Gavrilova’s game became error-strewn again and Erakovic played a few nice points. Gavrilova knucked down and played some excellent tennis at the start of the second set. She was much more aggressive and committed to moving up the court to close points off. 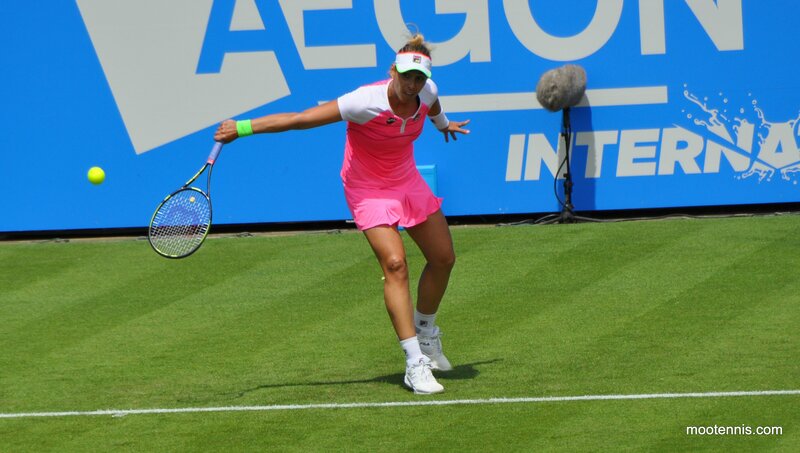 Erakovic’s slice wasn’t quite as potent and she made more errors. Gavrilova continued to make me laugh… there were high pitched squeals, come ons, sarcastic faces and even an allez I think! Gavrilova struggled to close out the set as the wind really picked up. It was a real issue at times today, not just for the players but for the fans… I was frigging freezing! I left the match at this point to go for a wander but returned with Gavrilova serving at *4-5 in the third set. 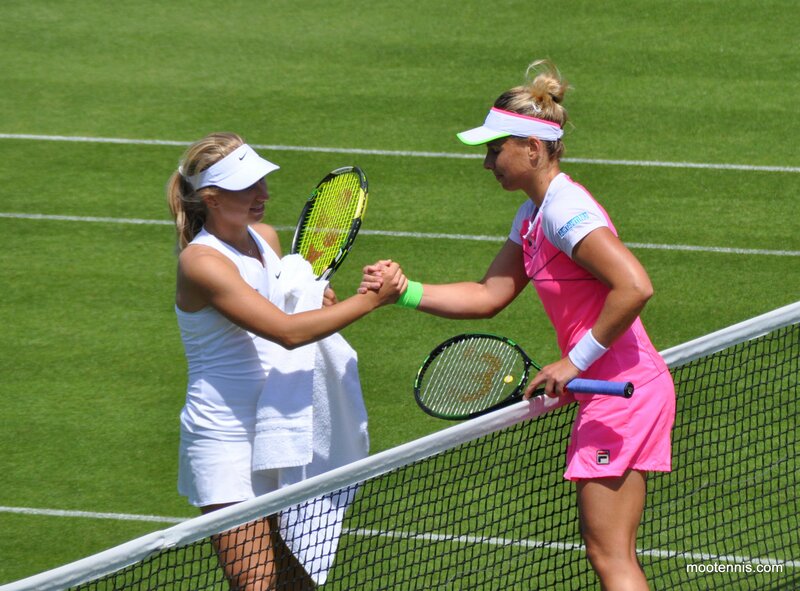 Gavrilova was unable to hold her serve as Erakovic wrapped up an impressive win. Gavrilova was so fed up with the wind down match point. On a second serve, she threw up the ball and catched it at least twice. She was done with the wind! Erakovic won, 7-6(4) 2-6 6-4 in two hours and 35 minutes. 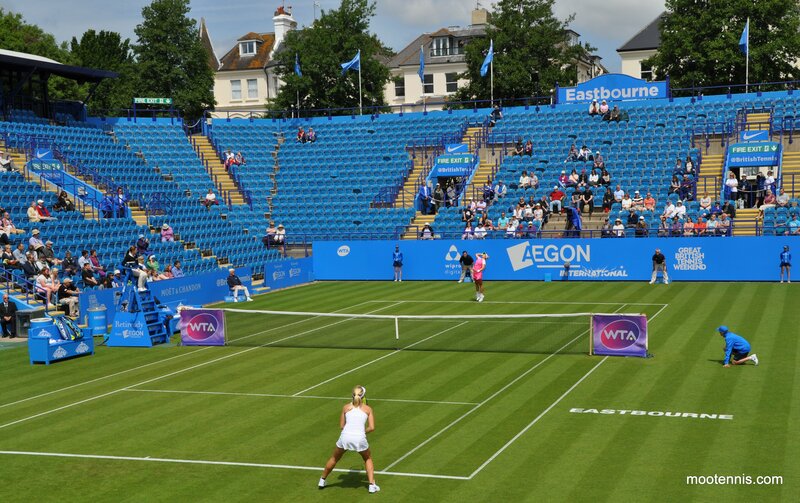 June 21, 2015 in Eastbourne, Erakovic, Gavrilova, Match Recap, Tournament Report, WTA. 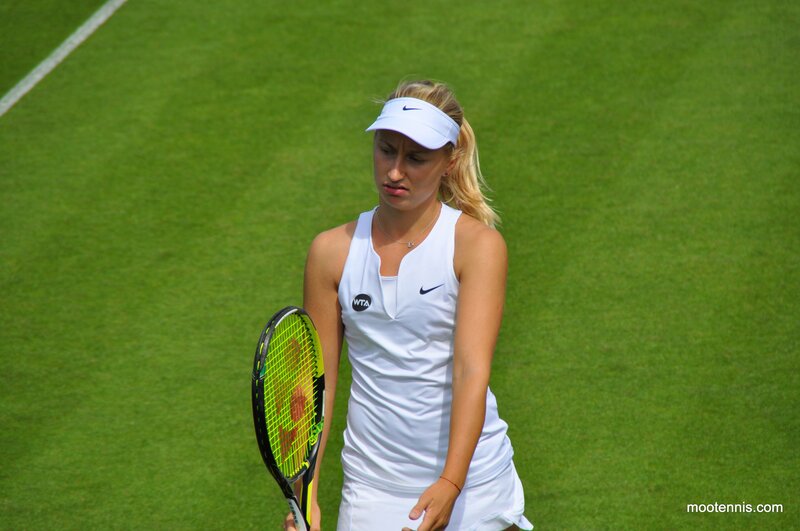 Bad luck to my soon to be Aussie Daria,love her expressions in the match,thanks James for the photo’s and write up on the match.